ⓘ This is a liquidation product, There is only 1 left at this price. 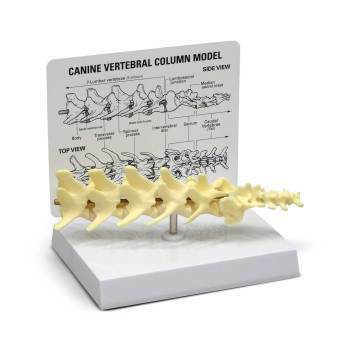 Vertebral column of average size dog features 5 lumbar vertebrae and discs, caudal (tail) vertebrae and sacrum. Model Size: 8" x 2" x 2"